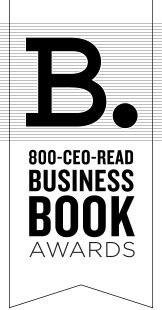 We are now accepting submissions for our annual Business Book Awards! Categories for submission are as follows: Leadership Management Entrepreneurship/Small Business Finance/Economics Marketing and Sales Personal Development Innovation/Creativity General Business Entries are open until October 15, 2011, and all submissions must be books that were, or will be, published within 2011. Winners will be announced in January, 2012. Full details and the entry form can be found at www.800ceoread.com/bookawards Good luck to all the entries! Click here for a recap of last year's Awards.